So today is the day. 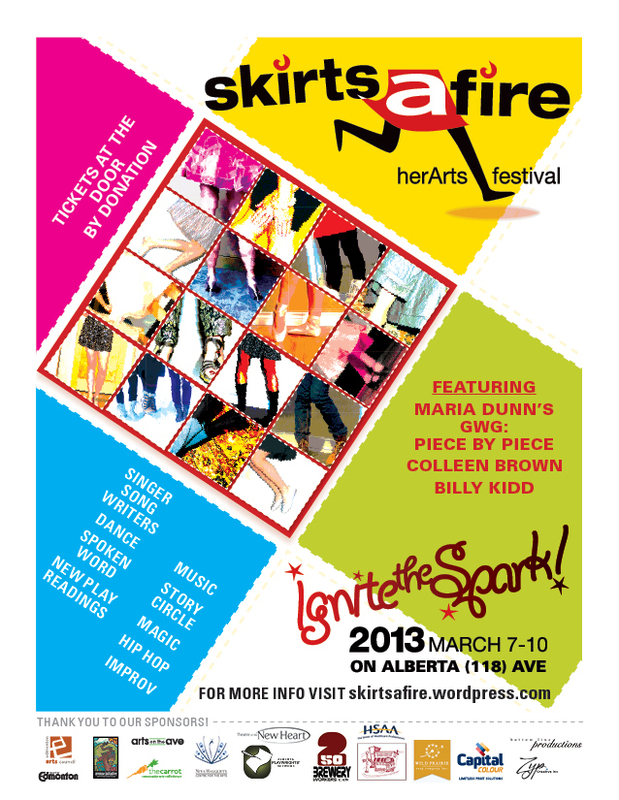 Come to Skirts Afire and hear a snippet of my play Marathon/Sprint and four other wonderful shows at Alberta Avenue Community League today at 2 pm! Admission by donation — tell everyone you know, and see you there! And for a bit of extra fun, check out Theatre Alberta’s very cool feature about Edmonton actors describing their Roles of a Lifetime — I’m in there, describing my role as Countess Marie-Laure de Tilly in Michel-Marc Bouchard’s amazing play Lilies. This entry was posted in photo, publicity, theatre, tickets, writing and tagged alberta, audience, avenue, community, drama, edmonton, fire, league, peep, photo, publicity, reading, rehearsal, scene, show, skirt, story, theatre, tickets, women by theatrejunkiehm2012. Bookmark the permalink.